This course is designed to teach the fundamental basics of healthy alignment in yoga postures. 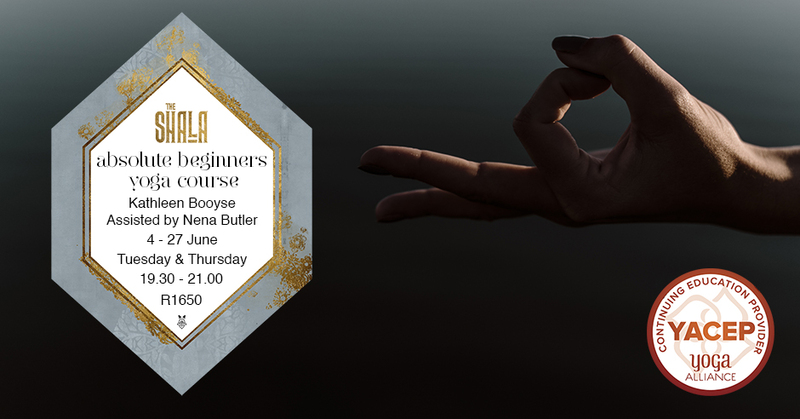 It is aimed for absolute beginners to Yoga or to anyone that feels unsure on safe and effective alignment and variations when practicing yoga. The course is over 4 weeks, 2 sessions per week. Each session will build on the first and slowly cover the core foundational yoga poses. Basic Yoga props will be used in each session allowing students to feel the support that props offer and the safety that they bring. The course is taught by Kathleen Booyse and assisted by Nena Butler, assuring personal attention to each student and effective assisting for optimal learning. Week 1– We start with learning to breathe consciously to calm the mind and feed the body with oxygen. Learn the correct alignment of active hands and feet. Breakdown the poses that make up sun salutations and look at effective variations for less flexible bodies. Introduction to accessing deep core muscles. Enjoy easy supine twists and prop usage for the final resting pose to complete each session. Week 2 -Build fluidity and breath awareness in the sun salutations. Learn open hipped standing poses. Basic seated poses. Spine strengthening backbends. Relaxation for rest and repair. Week 3 -Build endurance in the sun salutes. Learn forward facing standing poses and standing balances. Key aspects of safe backbends. Hip opening seated poses. Mild inversions. Relaxation for rest and repair. Week 4 – Refined breath awareness in the flow of the sun salutations. Seated and standing twisting postures. Deep abdominal core poses. Basic arm balances. Supine release for rest and relaxation. Registered Yoga Teachers (RYTs) are required to complete and log teaching hours and yoga related training. The YACEP designation is for experts in the yoga community who teach courses that qualify as Continuing Eduction hours. RYTs who take YACEP courses can use their training to meet Yoga Alliance Continuing Eduction requirements.